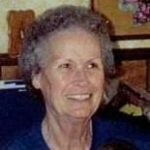 Mira White, 90, of Granbury, passed away on Tuesday, April 9, 2019. Visitation: 6:00 PM -8:00 PM, Friday April 12, 2019, Wiley Funeral Home, Granbury. Mira is survived by her sons: Bret White and wife Shirley of Granbury and Greg White and wife Donna of Abilene, grandchildren: Kayla White, Kristen White, Jason White and Daniel Ellison and wife Stephanie, great-grandchildren: Abby, Emma Leigh, Emma Lynn, Aiden Cole, Molly, and Willow, and sisters: Joan Dunham and husband Bobby, Jean Shoffner, and Judy Taff.